Is there an ideal desk size? Should you encourage stress release practices in the office? A recent study by psychologists at Exeter University found that offices containing plants can make workers 15% more productive than those with no plants. With that in mind, you might want to rush out and buy a carload of greenery to fill up your office, but where can you go to do it? Well, fortunately we’ve put together a list of some of the best places to buy office plants in and around Exeter to make life easier for you. With two sites, one on the outskirts of Exeter on Old Rydon Lane and the other out at Clyst Saint Mary, St Bridget’s offer a great range of plants and plant care products, with everything you need to get your office garden up and growing. 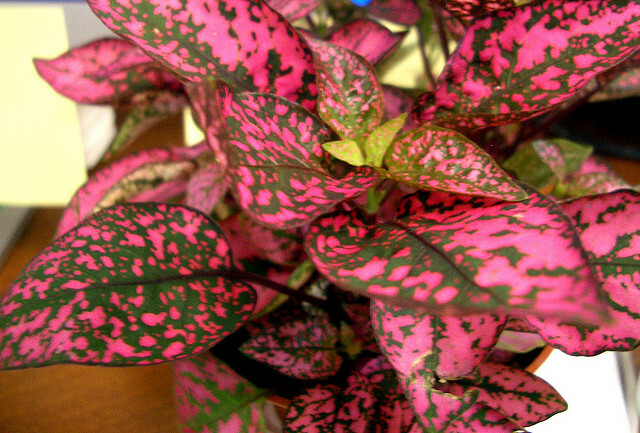 They sell a variety of indoor plants, including various ferns which make ideal office plants. And for the more adventurous they also sell bonsai trees and equipment. Take a short trip to Ottery St Mary and you’ll find a massive selection of house plants perfect for the office at Otter Nurseries. They stock both flowering and non-flowering plants, including orchids, cacti and various citruses and also carry larger, more mature plants to anyone wanting to instantly create a big impact. For larger offices, or those looking for a hassle-free planting solution, a speciality office plant company like Superplants may be the best choice. They offer a complete service, including visiting your office to assess what kind of plants would thrive best in your environment, supplying the plants and then taking care of all your ongoing plant maintenance needs, including watering, feeding and pruning where necessary. If you think your office environment needs a more major overhaul than can be achieved with the addition of some simple foliage, the team here at Gazelle can help. We offer expert office design services in Exeterand throughout the South West, so if your office needs a rethink, give us a call on 0117 955 3668 or send us an email.